I am a little late in reporting back on how my 30-day #breakthephonehabit challenge went, but life got in the way (a cancer diagnosis for my husband, back to school for the kiddos, and a great opportunity to connect with other Momtrepreneurs for me); however, I figure it’s better late than never, right? I set out on this journey to figure out if putting my phone down would make my life better, make me better. A better wife, a better mom, a better friend, a better sister, a better daughter, a better person. It was a challenge to stamp out what I saw as an imperfection in myself, a tight grip on my phone that had become both dependence and an escape. A true addiction. A way of dealing without really dealing. An addiction that, like any other addiction, was hampering my relationships. What I know definitively at the end of what has turned out to be almost 60 days, is that I feel better. Sure, I still have work to do to be a better wife, a better mom, a better friend, a better sister, a better daughter, and a better person, but really, who doesn’t? Aren’t we all a just a bunch of greatness and imperfection rolled into one? 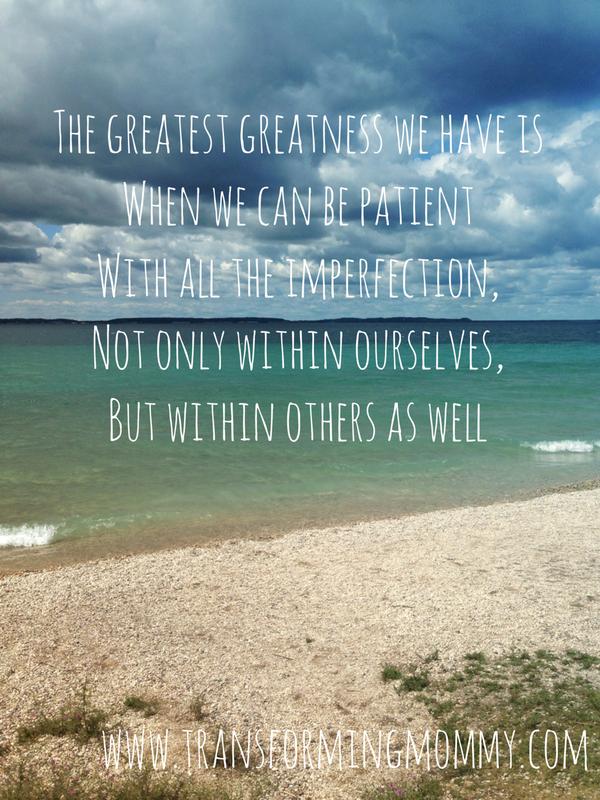 I’m starting to understand that maybe the greatest greatness we have is when we can be patient with all the imperfection, not only within ourselves, but within others as well. More than anything, what this challenge gave me was a chance to drown out the noise of the world so I could hear my own voice, and when I could hear my own voice without the constant distraction, I didn’t feel so much like I needed to be better anymore. Yes, I needed to be more engaged in my relationships. Yes, I needed to find more intimacy with my husband. Yes, I needed to stop wasting away moments reading gossip and news about what everyone else was doing instead of doing the things I actually cared about. Yes, I needed to fold my laundry. Yes, because I put my phone down, I was able to do those things. But it didn’t make me better, it just helped me see the better that was already in me. If you want to read about how my #breakthephonehabit challenge got started, you can find the story here. You can also read about other stops along the way here.